Flying Geese, they are wonderful things aren't they? Next to a 9-patch they are probably the most iconic shape in our quilting repertoire. And incredibly versatile. You can make a whole gaggle, construct a star or surprise - here's a pinwheel. 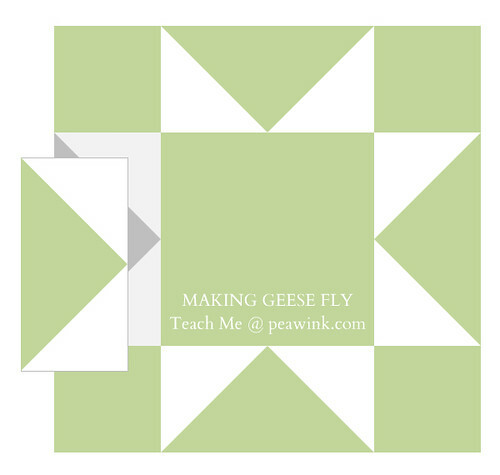 Understanding the math involved in a traditional Flying Geese block is the first step. 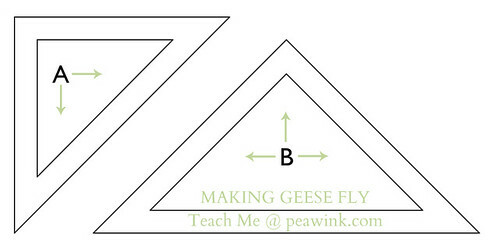 It's important to remember that traditional Flying Geese always have a ratio of 1 to 2. In other words, your goose is always twice as wide as it is tall. So, if your finished goose unit is 3” tall, it would be 6” wide. If it is 4" tall, it should measure 8" wide and so on. 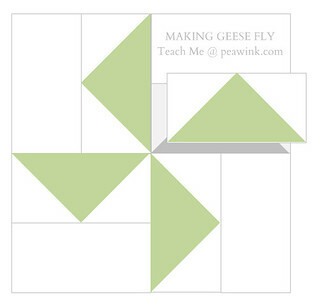 These measurements can be used for traditional piecing as well as the "no waste" method for making Flying Geese.